Besides tea, a couple of drinks that are endemic to Britain’s identity are ale and gin. Ale is a combination of yeast, hops, and barley that is warm fermented and there are many different types of beer you can make from it depending on the amount and types of ingredients. Gin, on the other hand, is a spirit developed from juniper berries. Both beverages not only have a presence in the city’s pubs and bars but also have a number of breweries and distilleries that not only supply the UK with alcohol but are also available to tour. If you have an interest in beer or gin, here are several places for you to tour and maybe enjoy a free sample. 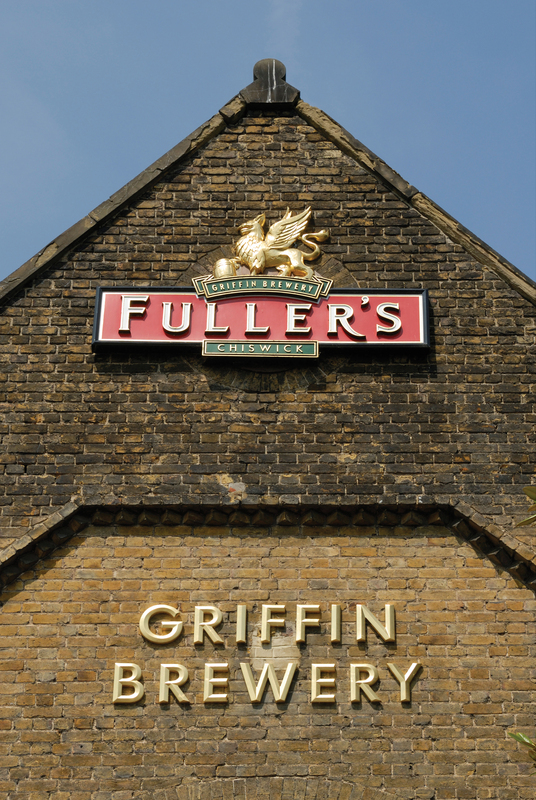 The city’s oldest active brewery, the Griffin Brewery has been in its location in Chiswick since 1816 and is the home to Fuller’s London Pride, one of the brewery’s most well-known offerings in London and around the world. 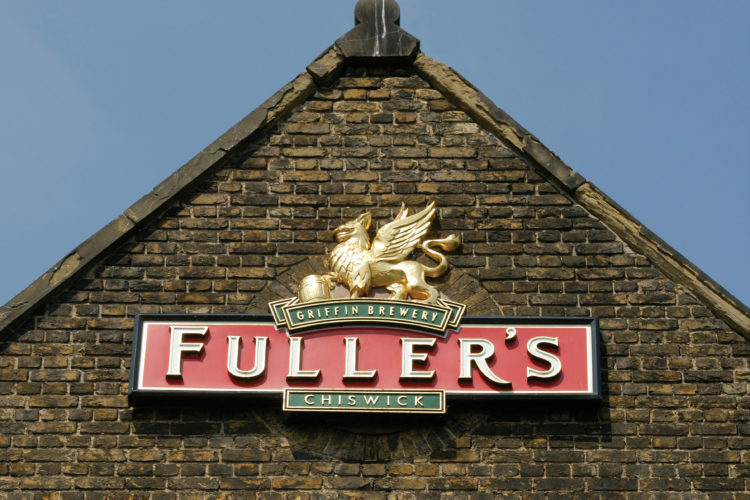 For £20, Fuller’s tour operates Monday through Saturday at 11:00 AM, noon, and 1:00, 2:00, and 3:00 PM and provides not only insight into the brewing process, but also the company’s long history. The tours can last from 90 minutes to two hours, and the guides know just as much about brewing as they do Fuller’s history, plus you get to sample some of their beers in the tasting room when you’re done. On the other side of the River Lee from Queen Elizabeth Olympic Park, CRATE’s brewery tour will not only take you on a trip not only through the brewery but the history of beer. The brewery offers two different kinds of tours, with the £15 tour taking about an hour with a sampling of the CRATE’s offerings. For an extra £10, you can take the Premium Brewery Tour that lasts *two* hours and pairs the tastings with the brewery’s delicatessen sharing platters. You’ll have to check with the brewery for the times and pre-book to make sure you get into the tour, but it certainly worth the extra effort (and cost) for everything CRATE provides. 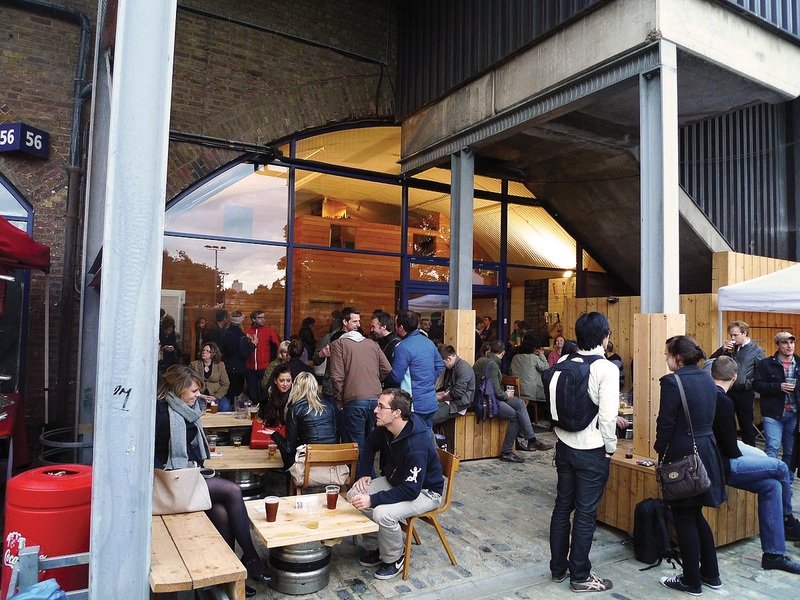 A brewery tour that appears on multiple lists, Meantime Brewery in Greenwich is the largest craft brewery in London. There are three options for tours with the brewery, the main being the Classic Tour for £20, which is hosted every day during the week at various times and lasts two hours, by far the longest tour on this list. For another £5, you can book a bespoke tour at certain times during the week that’s a bit more personal. Lastly, for those who really want to learn about beer, you can sign up for “The Knowledge,” a series of beer classes that will help you on the way to becoming a Cicerone. What’s more, it’s taproom is at the very center of the brewery, allowing you to watch the brewing process as you enjoy its results. 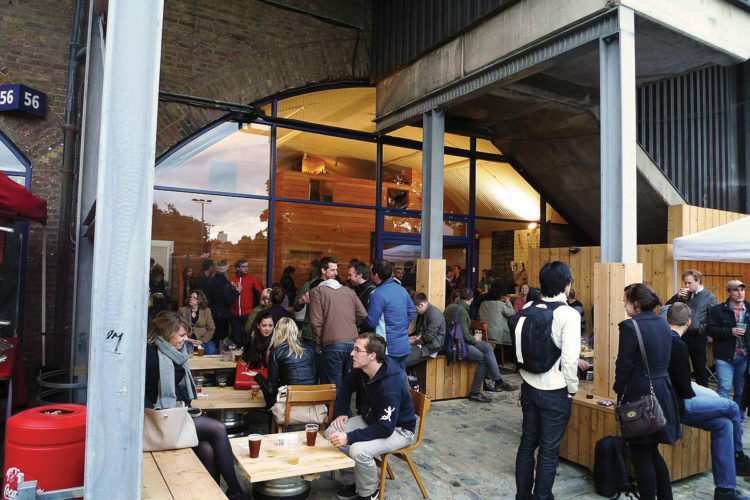 Filling what was then a much-maligned gap in Hackney, London Fields Brewery offers the most of any brewery in the city whether you want to take a tour, learn to brew, or just want to drink. The cost of the tour is £13 and is offered Thursday and Friday at 7:00 PM or Saturday and Sunday from 12:00 to 5:00 PM on the hour. Tours last roughly an hour and take you through parts of the brewery not open to the public as well as a tasting session in the taproom. It’s a good idea to book in advance as tours close once it gets to twenty people. Camden’s own brewery began in the basement of a pub where brewmaster Jasper Cuppaidge worked and grew to its own place in the borough offering any number of great year-round and seasonal ales. Camden Town pre-books its brewery tours on Thursday evenings and at 1:00 and 3:00 PM on Saturdays, with tours scheduled to begin at its new Enfield location in Autumn. The tour stands out as an excellent example of a microbrewery tour full of knowledgeable and friendly staff. A £12 charge apparently gets you three cans of beer during the tour and a half-pint after. The biggest name in gin, Beefeater’s London distillery can be found in Vauxhall. It is London’s oldest gin distillery having been founded in 1829 and been on its present site since 1958. The cost of the tour is £12 which covers the tour and a free Gin & Tonic. You can take the tour anytime the brewery is open from Monday through Saturday, with tours that start every 30 minutes and last one hour. Being such a big name and having so much history, some feel the tour is more of a museum than an actual distillery tour, but it’s worth it if you love the brand and you can get in for free if you have the London Pass. The award-winning City of London Distillery is located just off of Fleet Street in the heart of the city. The distillery opened in 2012 as part of owner Jonathan Clark’s cocktail bar. COL offers its tours on weekdays at 6:00 and 7:30 PM and on Saturdays at 4:00, 5:30, 7:00, and 8:30 PM, giving visitors the most opportunities of any distillery to see how gin is made. The cost of the tour is £25, and for that, you get a tour that lasts 1 hour and 15 minutes, a 3-flight gin tasting and a £5 voucher off a bottle of their gin. Not the oldest gin distillery, but one of the first of the new batch that has appeared in the city in recent years. Sipsmith offers a couple of options for visitors to its distillery, with the first being the Weeknight Distillery Tour. For £25 on Monday, Wednesday, and Thursday evenings at 6:30 PM or Friday at 4:30, Sipsmith will offer you a glass of its gin and take you on tour their pride and joy, their “copper ladies” Prudence, Patience, and Constance. For £85, you can join the Sipsmith Supper Club on Tuesday nights at 6:30 PM and not only get the tour and a tutored sampling of the range, but a three-course meal at nearby Charlotte’s a complimentary bottle of gin to take home. This is where Jensen’s is made, and you can find it as part of the appropriately-named Maltsby Street Market. Distillery tours are available on request, though it’s best to go on market days when the tour is free during market hours of 10:00 AM to 4:00 PM on Saturdays. Otherwise, there appears to be a cost of £10, and you can schedule a group of 10 to 20 people on weekdays. Either way, the tour includes a free tasting and one drink, and you can experience the range of Jensen’s gin. Staff will also provide information not only on ingredients but how best to serve the drink to your mates. Not to be confused with City of London Gin Distillery, The London Distillery Company is also in Bermondsey on the other side of the tracks on Druid Street. LDC hosts its tours only on Sundays at the times of 12:00 PM and 2:00 PM. They also charge £15 for the tour, but for that, you not only get to see where they make their whiskey and gin, but also some free samples and either a Gin & Tonic or a Cocktail in their tasting room. Tours last anywhere from 45 minutes to an hour, and you can book through their website.